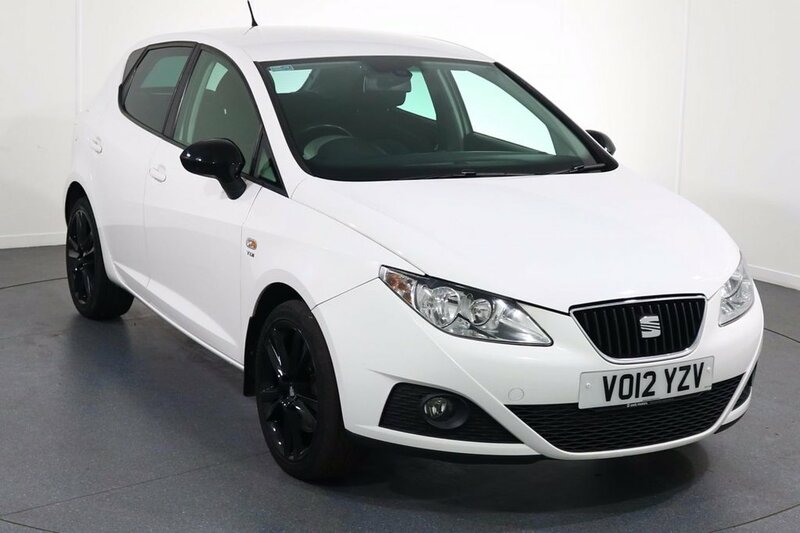 This desirable 5 door Seat Ibiza Sport Rider edition finished in Candy White looks fantastic complemented by newly refurbished 17 inch black alloy wheels and privacy glass. Enjoy economical motoring with JUST £30 ROAD TAX and upto 78 MPG. Keep connected with integrated BLUETOOTH phone system with voice command and USB charging port. Comfortable to drive with CRUISE CONTROL and CLIMATE CONTROL with AIR CON. Children can be kept safe with ISOFIX seats. Easy to park with nimble handling and REAR PARKING SENSORS. Also equipped with front & rear electric windows, CD/MP3 player, remote door locking and multifunctional steering wheel. Buy in confidence with JUST 2 OWNERS and SERVICE HISTORY with 4 Documented Services. Start your journey with AWB Motors, a family run business since 1989. All cars are sold with an inclusive 6 MONTH RAC Warranty and 12 month Roadside Assistance. Call today on 01613365588 and reserve this car for upto 10 days with a £100 REFUNDABLE holding deposit. All cars have professional valets, hpi checks and are given extensive pre-delivery inspections. Open 7 DAYS A WEEK. COMPETITIVE FINANCE Packages & DELIVERY are available.